The moment has come when the new reality of this world is created. This new world is created by you! In essence the following transmittance is about establishing a new energy field around the globe. Peace, light and love will prevail all over the world, as soon as you have created this stable new energy field for it. Some desire for peace, some intentions from collective meditations that already point in this direction, haven’t had the intended effect yet, only because they weren’t repeated often enough and conducted regularly enough. Today we will bring daily meditation – daily manifestation of peace and light – to life and establish it on earth. The time has come when dark activities have to be opposed by an energetic web of light, love and life. We will achieve this through the collective intention of people who connect in daily meditation in order to anchor lively and light-filled circumstances in their own soul, to create powerful elemental images1 and to manifest them in this world as new guiding principles. In order to achieve this, all fears need to be released from your being. In this time of commotion it is the most essential task for every light warrior to remain free of fear under all circumstances in order to be able to act with courage and to create a luminous presence! The dark energy field of this matrix has the power to let you drift into fears. Even minor fears can block your powers, to the extent that you are no longer lord of the game but driftwood in the torrent of this time. You need to face this now in an efficient way, and the most efficient method to release common fears and create a new reality is the daily devotion to god in meditation. A lively connection with god is the universal remedy. When a person is consistently connected to the source, everything else will follow. 2) Creating peace in your immediate environment. Make sure that you can dedicate at least 30 minutes daily to one of these meditations. The goal is that people connect collectively, leave the energy fields of fear simultaneously, and keep their own frequencies high. The goal is to overcome the matrix in these meditations, to enter the energy field of divine love and to become anchored there more and more firmly. 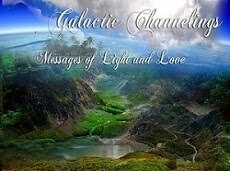 The goal is to create an entirely new and powerful energy field of love on earth by repeating this collective bundling of energy and of light-filled intentions. The goal is that every day more and more people join in during one these hours to collectively create peace, freedom and joy. The goal is to unify mankind and to change the world in a positive way. Therefore daily collective meditation in the spirit of light has immeasurable power; it enables you to change the energy field of the earth and adapt it to your high basal frequency. A constantly high basal frequency brings about new modes of behavior in people and creates new realities at the visible level of this world. All negative circumstances, turmoil and outbursts of hatred that are currently going on in this world are part of the big cleansing process. It is however in your power to alleviate these discharges and to undo certain events even if they were prophesied to you. Be aware: Several events that were prophesied did not happen for this very reason, and some of what is seemingly still pending will not happen either, because it is you who will determine the fate of the world and change the course of time as well as the course of events. You are capable of generating the energy needed to turn things around for the better. Do this by creating the frequency of light and love, by releasing all strife within you, and by consistently connecting with god. Thus the unimaginable will be achieved and the unexpected will manifest. At this point it is not important to meditate upon the occurrence of a specific event; all that matters is that you continuously raise your own frequency, that you align with the high frequency of love, and that you create a peaceful guiding principle for this world. Then everything will fall into place, then there will be light where now there is darkness, and love will reign where now it is nipped in the bud and perceived as disruptive factor. Collectively create what you collectively consider desirable. In this daily meditation the pure divine frequency of love is unleashed by those who have arrived in the land of peace. 1) Start every meditation by asking the ethereal light beings to remove all your fears and concerns and to bring you into a harmonious state. Fears that come up every day need to be removed daily. This is the exercise. Take all the time you need. As soon as you feel centered and connected to your core, continue your meditation. 2) Creating peace in your life: Look at all the images that come up– with whom are you at discord in this present moment? 3) Practice unconditional forgiveness and create peace with everyone you are at strife with. Repeat this as many times as you need until you have fully absorbed this truth. CREATING THE ELEMENTAL IMAGE1 OF PEACE. Visualize world peace. Include all regions that come to mind or that emerge as images before your mind’s eye. Continue until you notice that the meditation fades. The CC13 symbol serves as aid and enhancement for this act of creation. Put it out next to you during this meditation. This symbol is the I-AM-ALL-THAT-IS-symbol from Atlantis. It strengthens your self-awareness and sharpens your self-perception. • CC13 transmits strength, power, fertility, creativity, self-awareness, enlightenment, abundance, wisdom, ability to discern and compassion for all life. • CC13 activates your creative potential, keeps your individual frequency consistently high and elevates the frequency in any environment in a radius of 14 meters. Live love, give love, be love. From reacting to acting, from powerlessness to responsibly handling power, from distrust to trust, from fear to confidence, from lack to abundance, from death to eternal life. • CC13 is the symbol for awakened humans who are aware of their own awakening and who purposefully want to apply their love, strength and power for the benefit of mankind and all of creation. • CC13 protects the wearer from all destructive and manipulative 3D-energy fields and is a key to keeping the individual frequency consistently high. • CC13 was used in Atlantis to “overcome dark manipulations”, because in proximity of this symbol light-deprived frequencies would dissolve on their own. Place the symbol on a chakra or a place of your choosing. • Furthermore you can help yourself to all “tools” you trust and find helpful for your meditation. Every person requires certain conditions. Anything that feels good and right for you shall serve you as a resource for this meditation. The use of the symbol CC13 (I-AM-symbol from Atlantis: overcoming the 3D-matrix, door into the light of the fifth dimension of being) is particularly recommended. The light shines on its own and it is found on its own by those who desire it and who are on their way. Create awareness for it, but nothing more; leave all else to the divine direction. Creating an entirely new energy field that has the power to positively influence all events has been the desire of many for a very long time. But the attempt failed because the quality of time hadn’t been achieved yet, and because of the lack of consistency with which people worked on creating the desired circumstances. With this meditation – which anybody can join anytime and wherever they are, as frequently as seems right to them – you have the appropriate tool in your hands to lend power to your intentions and to give shape to the land of peace on earth. When the energy field of peace and love is strong enough, this reality starts manifesting in your community. Turmoil, political disputes, planetary shifts will then have an entirely different effect, and the huge drama many of you rightfully foresee can stay away. Nothing is of bigger importance today than to raise the frequency of the planet and to keep it high by raising and expanding the consciousness of the individual. On the level of human coexistence, each individual person is responsible for this; on the planetary and cosmic level this is entrusted to the care of the CENTRAL SUN. Your will decides everything; your readiness to walk a path that may seem futile to some, decides everything. Nothing new can be brought to life as long as you don’t leave the old paths and overturn wrong dogmas. You have the power to change everything! “Impossible” doesn’t exist, even if this matrix is suggesting this to you at all levels. The worldwide peace meditation “Peace around the clock” leads you directly to it. You are empowered.